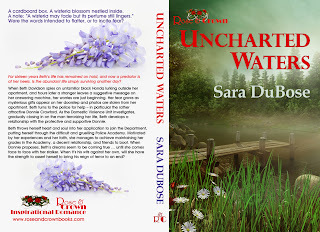 Our latest Rose & Crown novel, Uncharted Waters may feature an endearing and uplifting romance but it also deals with the issues of stalking and domestic violence. 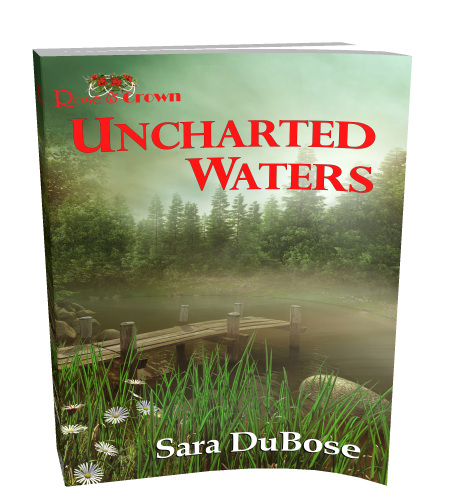 This is a fascinating combination that makes for suspenseful reading and Sara DuBose is on the blog as a guest today to explain what inspired her to write a novel based around these themes. Since losing her mother at age twelve, and experiencing a fractured relationship with her dad, twenty-two year old Beth is finally living on her own and experiencing a life of restrained optimism. Optimism, that is, until the sudden appearance of this invader. Then, day by day, as his advancements continue, Beth’s young faith will be tested almost beyond endurance. The emotional atmosphere becomes one of panic on a leash. What does this stalker want, and how far will he go to get it? Beth doesn't know but she is about to find out. Would you tell us something about what inspired you to write Uncharted Waters? Yes. 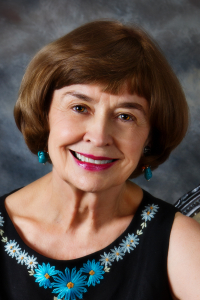 My first four novels are inspirational stories set in the 1950’s, but this time I wanted to try my hand with a contemporary romantic suspense. Thoughts began to spin in my head when a newspaper article stated: “60% of all 911 calls are related to domestic violence and stalking.” I was alarmed, yet allured, with this statistic and so began a year-long quest to discover how a young Christian woman might react when being pursued by a stalker. Ideas began to collect in my subconscious. One day, as I left my house for a walk, I decided to hide a key in a plant by the door. Immediately, I thought, what if my heroine made this decision, and someone was watching? What if he used the key to explore her apartment or frighten her in some way? 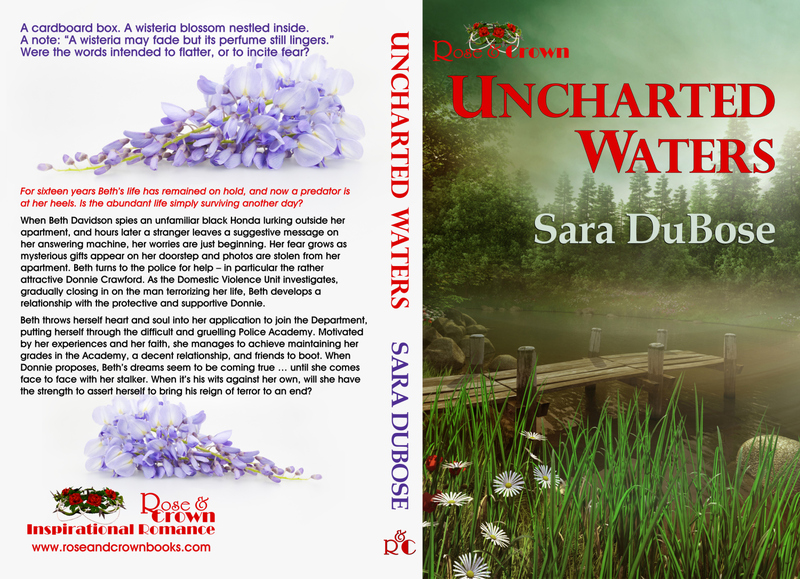 Although I had no connection with law enforcement, I suddenly felt compelled to explore this intrepid world, and discover how police officers in the Division of Domestic Violence were meeting the challenge. I began by attending classes with our Montgomery Police Academy and soon met the Commander of the Domestic Violence Division. Then, as several months passed, Lt. Steve Searcy became the source of invaluable information and inspiration. As time passed, I had an opportunity to observe officers on the firing range and to participate in a ride-along. And, one day when driving home, someone fired a shot at me. Frankly, this was probably nothing more than a random shot by a wayward teenager, but it did give me more fuel for the story. I could tell you more about how I selected the title, but perhaps we could save this for another blog. At any rate, I hope you will enjoy the story, consider what you might do if confronted with danger, and maybe rediscover how the believer is never alone when navigating Uncharted Waters. Thanks, Sara, for sharing your creative process! It's really interesting to see how certain incidents can spark thought processes that end up with a novel. 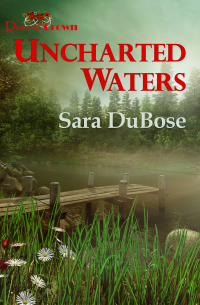 To find out more about Sara, you may visit her website at: www.saradubose.com. You can also connect with her via her Facebook and Twitter profiles.